Chiropractic care is essential to living a back pain free life. Chiropractic care is the process of having a professional examine and identify your spinal and neck pain issues. We will go over any misalignment and pain problems, then give you recommendations, exercises, and adjustments to correct the problems or to prevent future problems. Start feeling great and start caring about your spinal health today by making an appointment with us. We want to help you eliminate your pain issues today. The ability to enjoy the activities in your life that you have been missing out on because of pain! Chiropractic care is so important to your daily life and well-being. Improve your overall spinal health today. Don’t skip the warning signs, even minor back and neck issues, because they often increase over time. We want to work hard for you and achieve relief for your spine. Our patients often feel relief on their first adjustment. Call our friendly staff to make an appointment today. We know it can be hard to improve your spinal health over time. We give you all of our expertise in helping to correct your back and posture issues over time. We have an expert staff that have decades of combined experience. 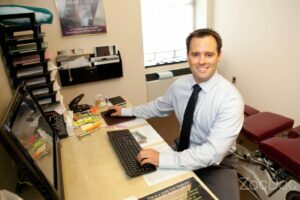 We welcome you to Rittenhouse Square Chiropractic and are happy to answer the questions you have been curious about for years. We listen to what you have to say, no matter how big or small. You can be anywhere on the spinal issue scale. Don’t be afraid to come in for an evaluation before your back pain problems turn into bigger issues over time.